Today I graduate from The Institute for Integrative Nutrition! I am now a health coach and in a few short weeks, I will receive my certificate. It has been a wonderful year, meeting new people, learning about nutrition and business and soul searching as to where I see my future. In the past year, I quit my job, moved to New York City, became a certified yoga instructor and now I'm a health coach. 2014 has been the greatest year! Now is a great time to reflect where you've been this year and where you want to go. For those that are meditating with me, use your meditation time to envision your future; see where your thoughts take you. I've been in the kitchen experimenting with persimmons, my new favorite fruit! Persimmons looks similar to tomatoes in their shape, they are bright orange and best consumed when they are on the softer side. They are super sweet; you can eat them by themselves or add them to recipes. They are in season in fall and winter. I'm back to doing raw til 4 so everything in the morning hours is all about fruit and veggies. 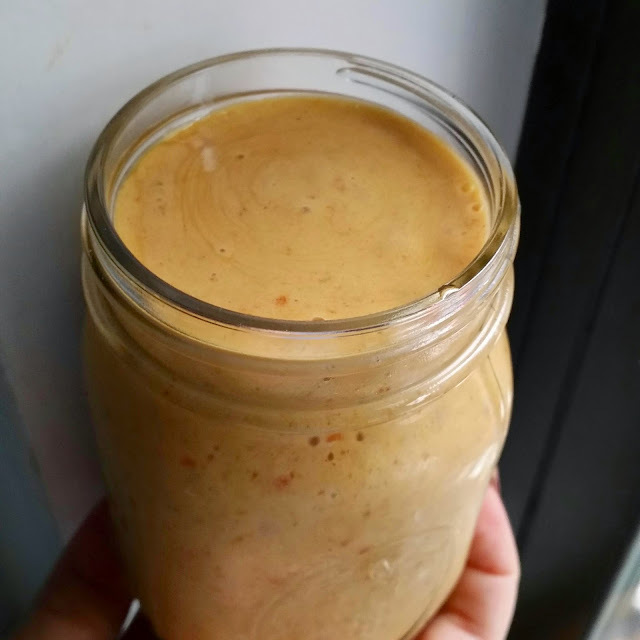 I've got a fabulous persimmons banana smoothie recipe and a persimmons pasta sauce ready to dazzle your family. Blend everything well and enjoy. 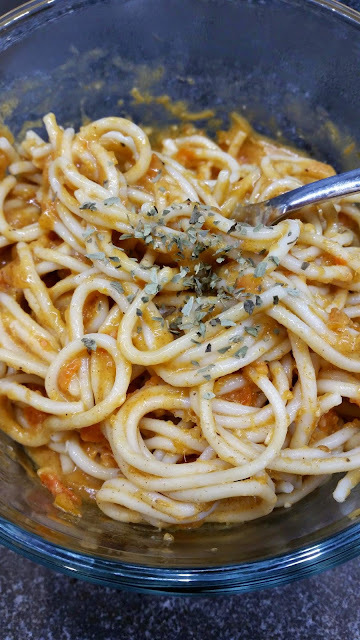 Combine everything in your food processor and pour over cooked pasta of your choice. 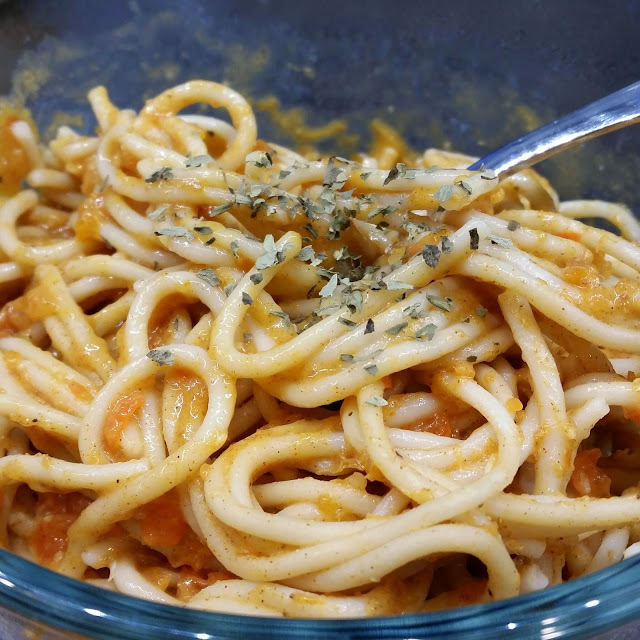 I add oregano and some nutritional yeast. Try persimmons! Trader Joe's has them now and any fruit stand should have them too. What is your favorite sauce for pasta?